First Lady Seal Charm on 18" Gold Chain. 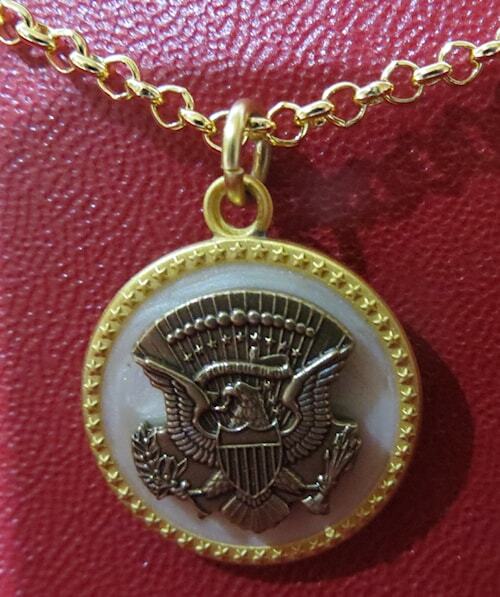 Metal Presidential Seal is backed on shiny beige surface surrounded by a gold band of stars. 45 printed on back. Red gift box with gold stamp of the Presidential Seal.